Keep Them Cheering! 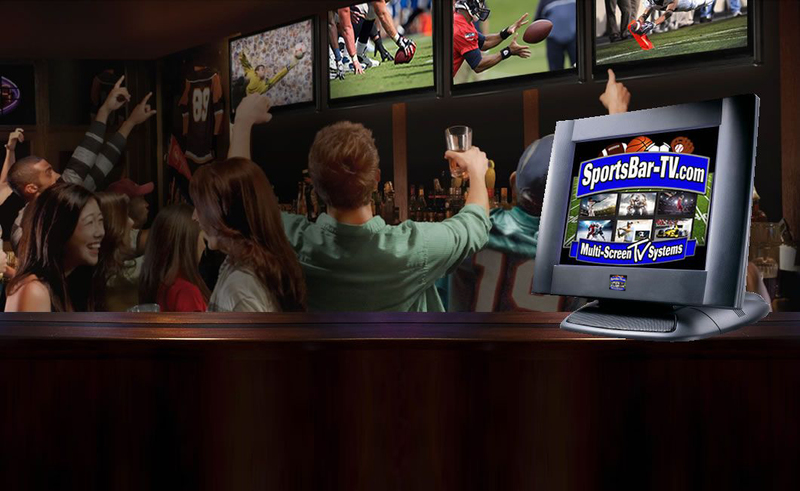 SportsBar-TV Systems Makes it EASY and Affordable to give your patrons something to keep CHEERING About! Give Them CHOICE! Why make everyone watch the SAME game? In a Multi-Screen Environment like yours, Your Patrons EXPECT CHOICE! Give it to them! Easy TV Wall SportsBar-TV Systems makes it EASY to take control of all the streams on your TV Wall at the same time with just one device. Our Moto is Our Life! 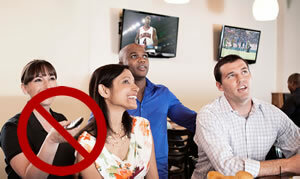 At SportsBar-TV Systems, "It's Not IF It's On, It's WHERE It's On!" is so much more than just a motto, It's what guides us every day! SportsBar-TV Systems Has the Easiest to use TouchScreen Controls Available! Every TV in your establishment is displayed in it's exact location on the floorplan of our Crestron TouchScreen control system. Attendants can easily change content to any TV by simply touching the location of the screen they want to control. 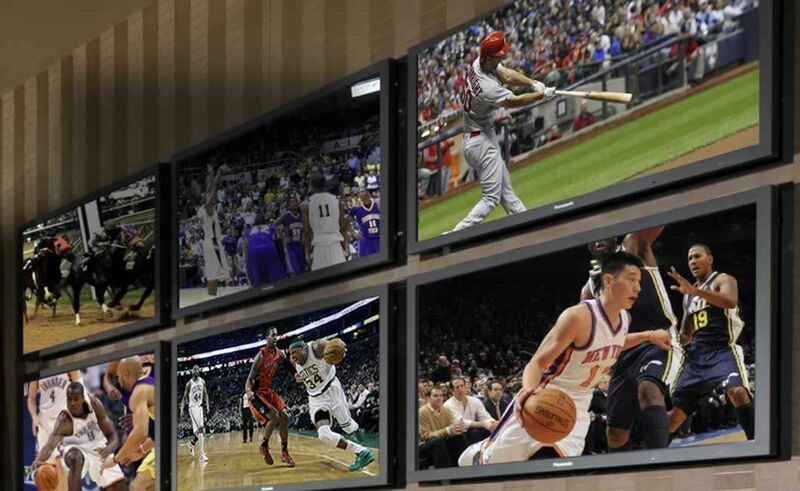 SportsBar-TV Systems Makes it an EASY choice! One choice is to use a separate Set-Top-Box (STB) for each TV and pay the Satellite or Cable company for EACH one. Commercial fees can exceed $20 for every TV, EVERY MONTH! The STB solution will also NOT allow for any local content (DVD's, BluRays, VCRs or Cameras), instead, every TV MUST show either Cable Company or Satellite Content, control can only be done by walking to each TV and carefully pointing a remote. The BETTER choice is a Matrix Switch & Touch panel Solution. This allows you to pay monthly fees on fewer receivers and you can now switch any source to any combination of TV's, you only need pay for the number of SEPARATE program sources you need. Seriously, how many different Football games can you really show at one time? The Matrix also allows you to intermix local content easily such as DVD's, BluRay Disc's, Local Cameras, Computers or Advertisement. Our SB-Touch Panel controller allows you to control both the Matrix switch AND the source box's channel selections as well as control from anywhere using an iPad or Tablet as well. 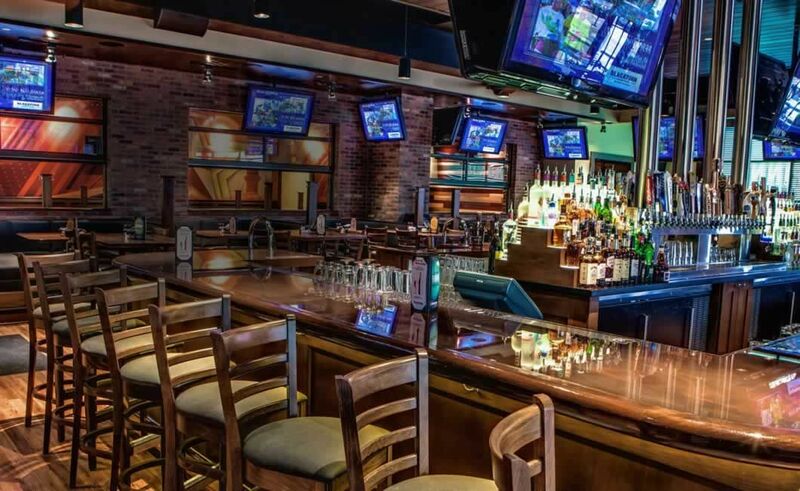 Our High-End Sports Bar HDTV Matrix Switcher and Control System includes a top-of-the-line Autopatch 20x32 Modula HDTV Matrix Switcher plus 10" Crestron Touch Panel and Controller. If you bought this equipment new it would cost over $40,000! Everything is preprogrammed and ready for easy hookup right out of the box. SportsBar-TV Systems is now proud to announce our exclusive inexpensive solution to adding Text and Graphics to your TV's. 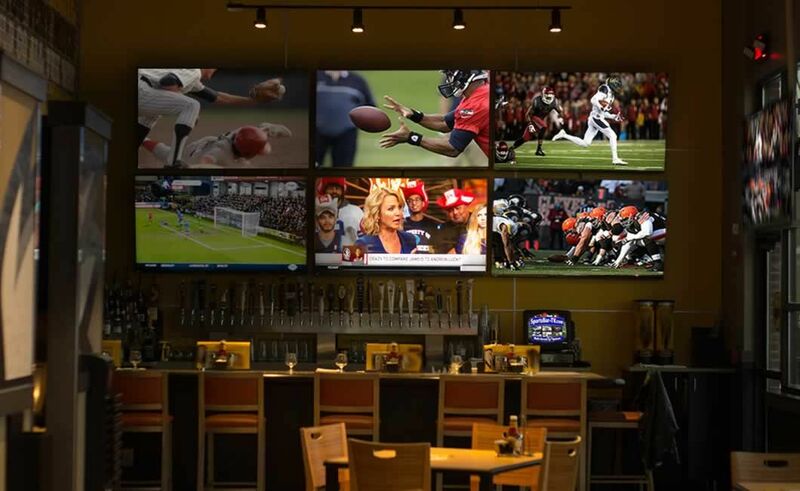 The TV your patron is currently watching in your SportsBar, Restaraunt, or Bowling Alley is the BEST place to put announcements or advertising! Have you ever wanted to watch more than one TV program or sports game at once? A low-budget solution may be the TV’s picture-in-picture feature, but that’s clunky and not nearly big enough to enjoy programs properly - especially in a public environment such as a SportsBar, Bowling Alley, or Restaurant.